Mobile phones have changed the world of communication and technology but they do not lack some flaws and their own problems. 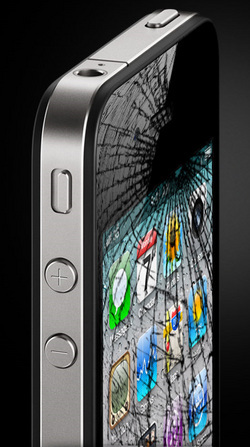 The L.A iPhone repair and unlock center offers many services concerning phone repairs. The repairs include of touchscreen with a digitizer replacement. There is also replacement of liquid crystal display screens. Another bugging problem mobile phone owners face is water damage. Sometimes our phones fall into bodies of water, get rained on or even we pour water on them unintentionally and this can be very stressful because the phones usually go off. The L.A iPhone repair and unlock center has the capability of helping victims of this unfortunate experience. They have the technology to restore and fix your cell phone damaged by water. They can also fix those nagging power and home buttons which stop working from time to time. Phones with damaged charging pots which affects the charging can also be brought to the L.A iPhone repair and unlock center. There are other common problems which affect the phone like dead microphones and damaged speakers. The shop can repair these faults in your phone as you wait for it. Unresponsive touchscreens can also be replace at the L.A iPhone and unlock center as fast as they can and a pocket friendly price. Most of the damage that occurs to cell phones is that of the hardware of the phone. Among the few mentioned other damages that the L.A iPhone repair and unlock center can fix include: no sound or damage of the volume buttons, unresponsive and damaged earphone jacks, back housing and replacement of old or damaged bodies of phones. The L.A iPhone repair and unlock center also sell original phone accessories like iPhone headsets, USB and Car chargers. The L.A iPhone repair and unlock center can be trusted as they have original and genuine spare parts of all iPhone and Android devices. The spare parts they use to replace the damaged parts are trustworthy and there is also a guarantee that they will last long without any problems. The service at the L.A iPhone repair and unlock center is fast and professional. They will fix your phone as you wait for it. The technicians and engineers working on the cell phones, tablets, iPhones and iPads are highly trained and experienced professional and therefore the devices are in safe hands. The L.A iPhone and unlock center accepts all repair requests of major phone brands like Motorola, BlackBerry, Samsung, HTC, LG, NOKIA and Apple. The L.A iPhone repair and unlock center accept repair orders by mail but have requested clients to contact them for instructions before using the mailing orders service. The repair shop offers many quality repair services on all iPhone phones at very affordable prices. Get your AT&T GSM or Verizon CDMA or Sprint iPhone 4, 4S 5 5S 5C 6 6 Plus iPad Air or iPad Mini Fixed Now! iPhone Headset W/Mic, Gevey PRO Ultra Turbo SIM! Get your iPhone 2G, 3G, 3GS, 4, 4S 5, 5S, 5C 6 6 Plus REPAIRED WHILE-U-WAIT! We gladly accept your repair orders by mail. Please contact us for instructions on using this service.